Havoline Drain and Refill porcelain sign is 23″ tall by 32″ wide. The sign is navy blue in color, with a red circle in the lower left corner and white text running across the length of the sign. 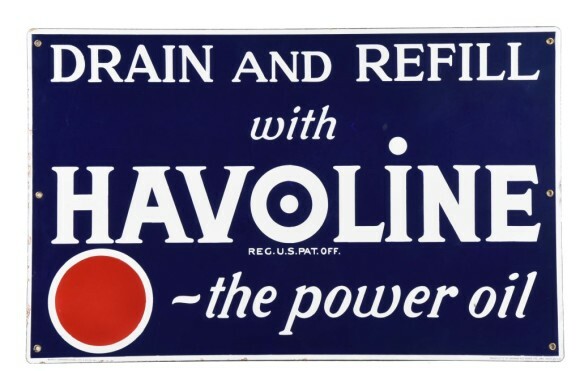 The text reads “Drain and Refill with Havoline ~ the power oil, Reg U.S. Pat. Off.” There are six holes on the sides of the sign to be used for hanging.